As the lead on a missing person case some seventeen years previous, Lieutenant William Wisting is forced to take responsibility when allegations of planting evidence surface from the accused upon his release from prison. Meanwhile, Wisting's journalist daughter Line, is called on to chase the story of an apparently disconnected murder of an isolated man. The translation of the latest novel by Jørn Lier Horst has garnered a great deal of success in its native Norwegian having won a Glass Key Award and The Golden Revolver in 2013. With his plot driven, neatly told story, it is not difficult to see why. In this book Wisting is the benevolent hero, wrongly accused. He breaks all the rules, sneaking in to the police station after he's been suspended, removing evidence from the store rooms, and working with a retired friend to discover fingerprints from the old case. It is impossible not to be drawn into the drama of the story. Alongside this narrative, Line becomes embroiled in a different case, one step ahead of the police investigating and the similarities between father and daughter are tangible. The author weaves these two narratives together, skilfully keeping the reader guessing until the crucial final pages. 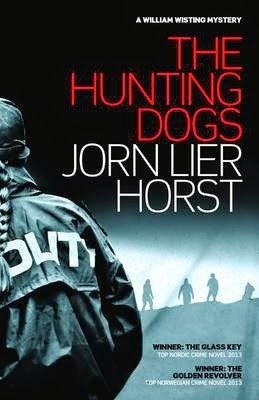 The conclusion is believable and satisfying (perhaps testimony to Jørn Lier Horst's time working in the police). This is a pacey read from one of the new stars of Norwegian crime literature.